Posted April 4, 2019 by Seán Kinane & filed under Music, News and Public Affairs. The NHL announced in an email Thursday that it will kick off the 2019 Stanley Cup Playoffs with a free concert in Tampa by Cage The Elephant. It will be at downtown’s Curtis Hixon Waterfront Park on Wednesday, April 10 at 5:15 p.m. The National Hockey League announced today that it will open the 2019 Stanley Cup® Playoffs with a free concert headlined by GRAMMY Award-winning band Cage The Elephant at Curtis Hixon Park in downtown Tampa – nearby the home of the Presidents’ Trophy-winning Tampa Bay Lightning – on Wednesday, April 10. 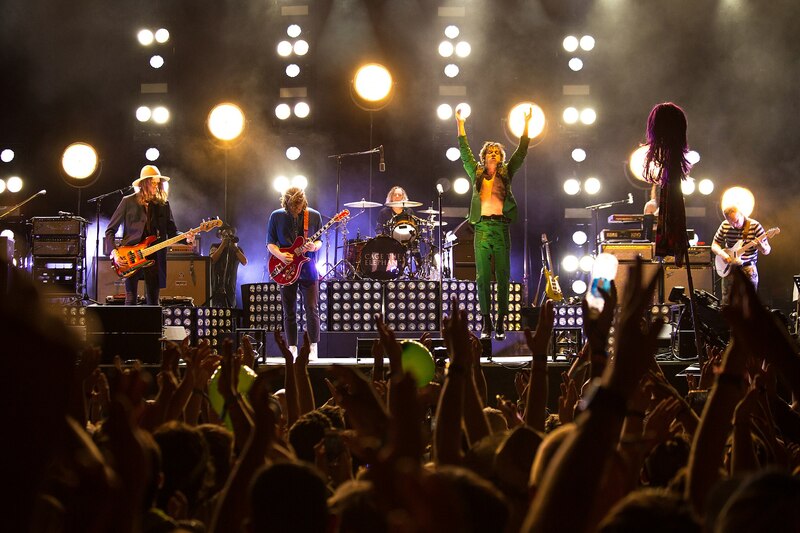 The 2019 Stanley Cup® Playoffs Party featuring Cage The Elephant, which will not require a ticket, will begin at 5:15 p.m. ET. This is the first of a series of concerts and musical performances the NHL is planning for the 2019 Stanley Cup Playoffs. The 2019 Stanley Cup Playoffs begin Wednesday, April 10. Fans can join the conversation by using the official hashtag #StanleyCup.